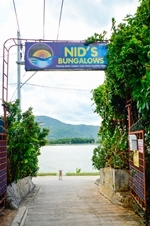 Nid's Bungalows is family-owned and managed, offering cool, private and tasteful accommodation in the Thai-style, located centrally on the shore of Chaweng Lake in the Chaweng Beach tourist area, only 10 minutes from Samui airport and 10 minutes walk from Chaweng Beach. 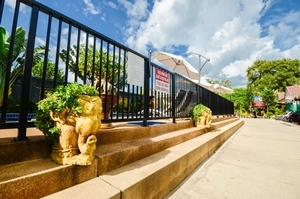 Nid began developing the Resort in 2003, initially catering solely for local Thais but, in 2007, it was decided to develop Nid's Bungalows to cater for the value-conscious traveller, seeking comfortable accommodation in a convenient location for tourists, in the rapidly developing prime tourist area on Chaweng Lake, Koh Samui. 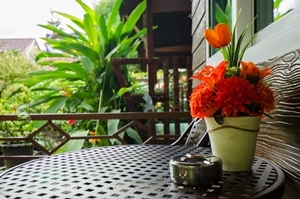 To serve the international traveller, Nid's Bungalows offers a range of accommodation options, from new and superior levels of accommodation to a new and spacious 8-bunk Mixed Dorm for the solo traveller or value-conscious group. 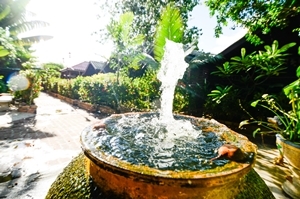 Nid has made the lush gardens around the bungalows and swimming pool a feature of the Resort. 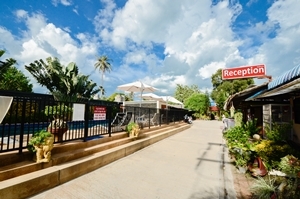 Nid's Bungalows features a large outdoor swimming pool and sundeck, bar and restaurant, laundry facilities, and free WiFi in all rooms and around the Resort. All our accommodation have en-suites with hot water showers, western-style toilets and vanities. The Resort features Standard Double & Twin-Single Bungalows, Superior and Deluxe King or Triple Family Bungalows, and a new, spacious 8-bunk Mixed Dorm. 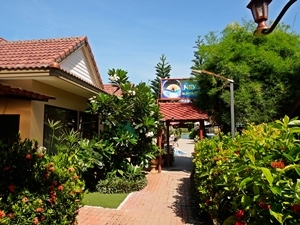 All accommodation is air-conditioned and all private rooms have free multi-channel international cable TV. 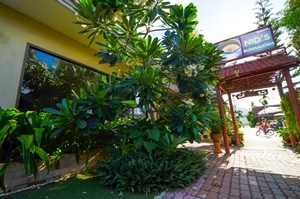 Chaweng Beach and the most popular nightclubs, bars, shops and markets on Koh Samui are within a few minutes walk from Nid's Bungalows. 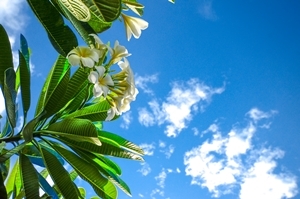 At 250 square km, Koh Samui is the largest island in the Gulf of Thailand. Koh Samui International Airport is serviced via Bangkok, Krabi, Phuket, Kuala Lumpur and Singapore. There are also several car ferries to the mainland. 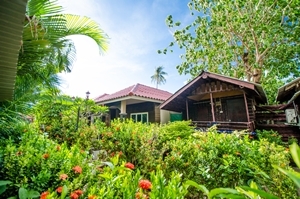 Over the last 20 years, the main industries of coconut farming and fishing have given way to tourism but, in recent years, the standard and cost of accommodation on Koh Samui has been steadily rising. 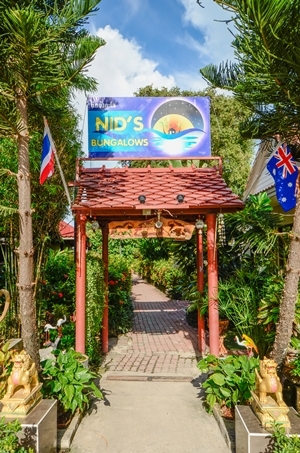 Nid's Bungalows offers the value-conscious tourist a range of high quality accommodation options, as an alternative to the very expensive international luxury resorts established along the major beaches around the island. 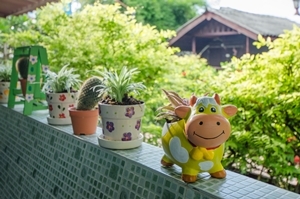 In choosing the type of accommodation offered by Nid's Bungalows, you will experience the feeling of Thai style living and, if you wish, take the opportunity to make some very good friends of the locals who will happily make you feel welcome in their land. Tickets for travel by high speed catamaran to Koh Pha Ngan, Koh Tao, Chumpon, Hua Hin and Bangkok. 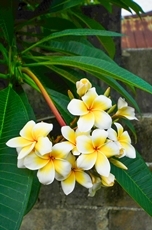 Transfers to Samui Airport and Maenam, Nathon, Bangrak and Big Buddha Ferry Terminals. 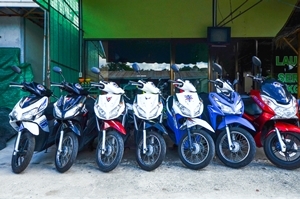 Cars, Motorbikes, Bicycles & Kayaks for rent. 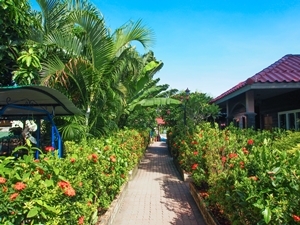 Access to the free WiFi around the resort. 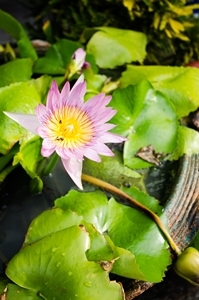 Massage by the pool or in the privacy of your room. Laundry daily service - laundry washed, dryed and folded. Fishing, safari and eco-tours around the island including all meals, neccessary equipment and transfers to and from the bungalows.